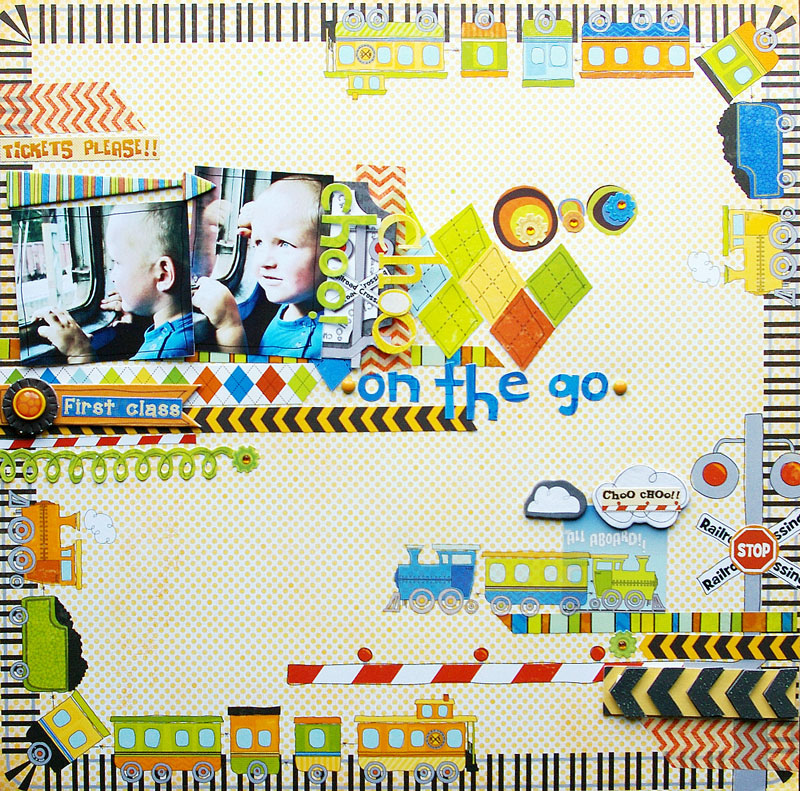 The BoBunny Blog: On The Go! Today we are focusing on our fun new line On The Go! 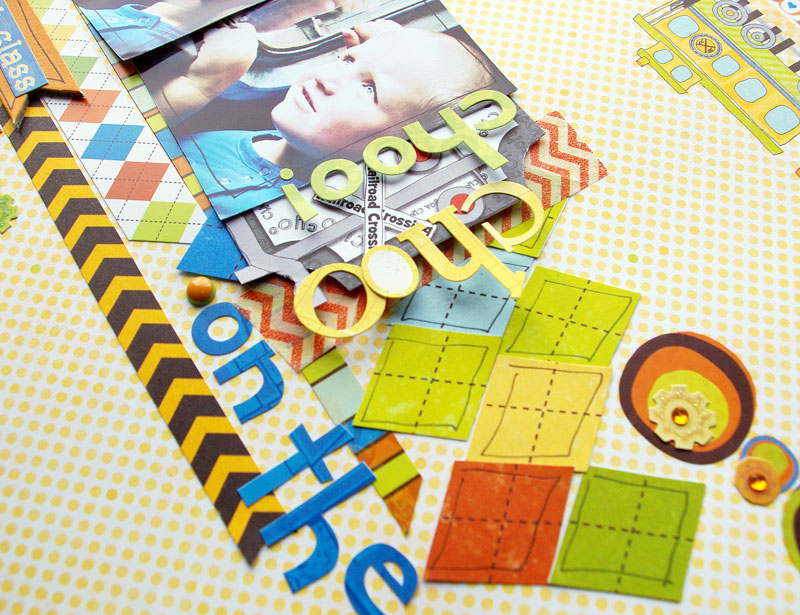 Although On The Go may seem like a range made mainly for layouts of younger children the smaller patterns on some of the papers make them soo versatile. 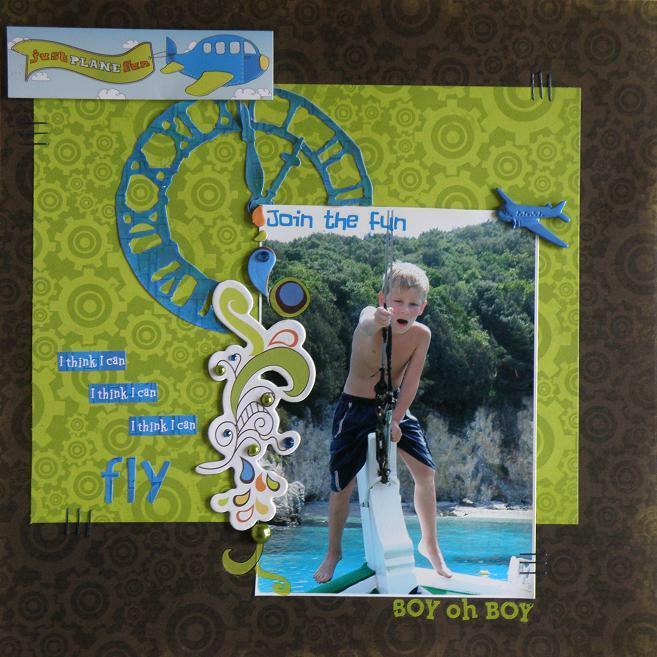 So not only are they perfect for your little angels pages they are also perfect for older children, teens and even fun travel layouts too, as can be seen in this fantastic layout by Jolanda! 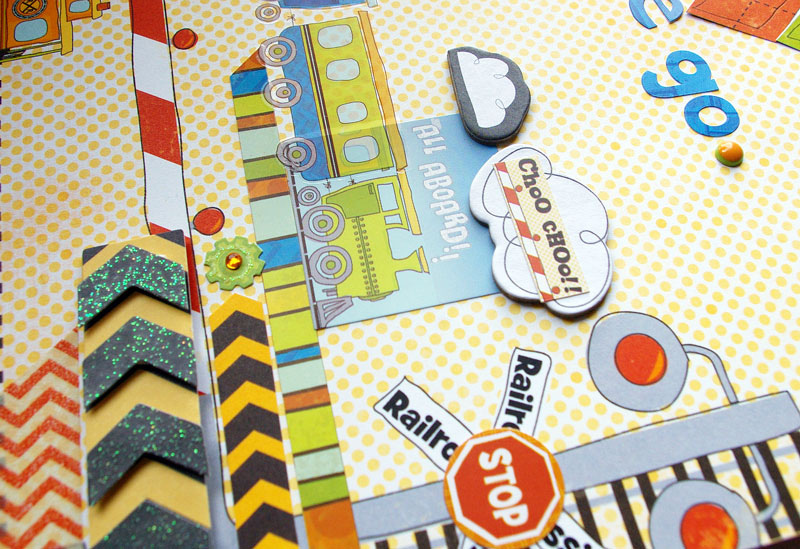 How adorable is this layout by Agnieszka, perfect for her cute train trip photos! 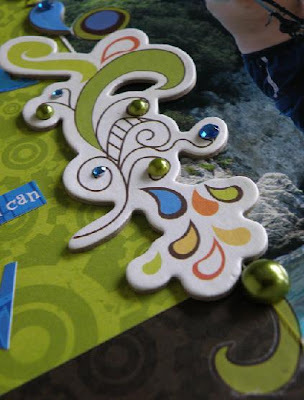 I just love all the little details in this layout. Stickers: Combo 12", Dimensional Stickers /On The Go; Country Garden Combo 12"
Lastly we have this amazing layout by Mahlin which yet again would be perfect for any age group! 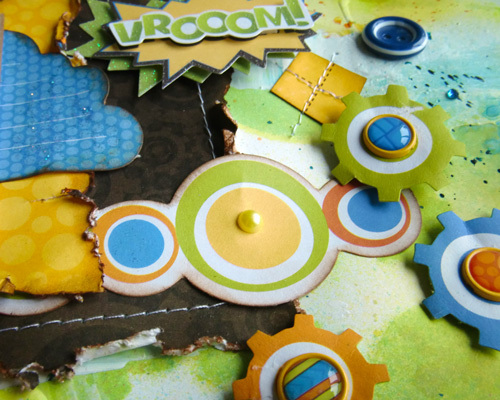 The design team has really been having lots of fun with this range so far and we can't wait to see what all the lovely Bo Bunny fans are going to create with it so don't forget to share your layouts with us on our Facebook page! Fantastic!! Especially I love my friend Mahlins gorgeous layout!!! 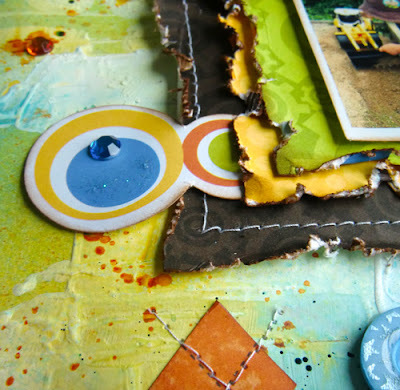 Love your work with colors!! I love love love this collection and loveeeeeeee what the DT created with it!! Just GORGEOUS!!! 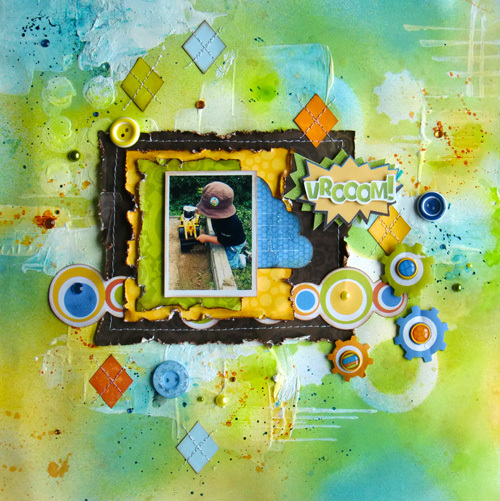 Gorgeous layouts and fab collection!